Nowhere is this paradoxical desire so starkly manifest as in the public space of the city. Because of its concentration of people, programmes and ideas, the urban public space is the arena of encounter and renewal. But this density also has a flip side, since it can degenerate into conflicts. 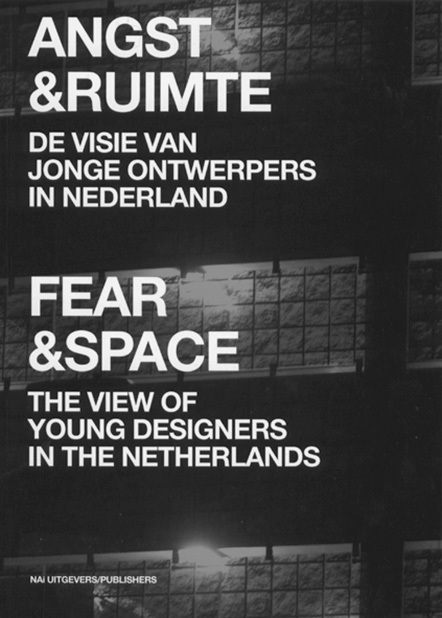 It is within this context that fear was chosen as the theme for the fourth ‘Group Portraits’ event, a joint initiative of the Netherlands Architecture Fund and the Netherlands Founda­tion for Visual Arts, Design and Architecture (Fonds BKVB), in which four teams composed of designers from various disciplines deve­loped ideas on issues that have consid­erable influence on the spatial design of the Netherlands. It is a complex issue for which no single team was able to ﬁnd an adequate response. Most interesting is the analysis by the Mr. Smith team (Mark van Beest, Duzan Doepel, Claudia Linders, Minke Themans and Ronald Wall). Its contribution consists of the elaboration of a character suffering from the psychiatric condition ‘acute techno-­demo­cratic phobia’. This ­condition is a modern form of agoraphobia, the fear of an uncontrollable public space where the ­precarious balance between control and freedom of movement could at any moment collapse into revolt (the anarchy of the underworld) or regression (a ‘Big Brother’ control society). Where every­one else sees a dead normal street scene, Mr. Smith is constantly searching for signals that point to a possible escalation. By elaborating a psychosis in which fear and space combine to induce a modern-day agoraphobia, the designers have produced an interesting and productive analysis of the precarious balancing act of safe freedom, and they are capable of naming and categorizing the different signals that could potentially disturb this state of affairs. But this analysis then degenerates into a megalomaniac argument for universal democracy. Perhaps this indom­itable urge to extrapolate is a symptom of Mr. Smith’s syndrome, but would it not be much more interes­ting to use this analysis for an effective approach to local problems? Here is where the ­problem of the book lies: it is never concrete. The illustrated designs are so abstract that they say little (Untitled: Kersten Geers, Bas Princen, David van Severen, Milica Topalovic) or display an inappropriate simplicity (DUS: Arja Boon, Hedwig Heinsman, Diana Kuip, Roel Spits, Hans Vermeulen, Martine de Wit). Nowhere do they seem capable of developing a feasible spatial strategy for society’s problem number one. What sticks in the mind is the impotence of the entire project to deal with this complex problem. To shift the blame to the competency of the selected designers would be too facile. For it is difﬁcult to escape the repressive techno-judicial approach that predo­mi­nates at the moment and replace it with a socio-­spatial alternative. It would have been better for the organization to tie in this broad and intriguing subject with concrete situations. The complexity of the task precludes the chances of success of any universal solution; it requires a precise, localized approach. It is also typical that the highly acclaimed design culture in the Netherlands is incapable of coming up with a single interesting solution. The levity which has caused international furore is not adequate to make a substantial contribution to maintaining a lively (not just liveable) public space, as demonstrated once again by this exploratory design research. Dennis Kaspori is an architect and the founder of The Maze Corporation. He concentrates on the development of an engaged practice that searches for new models of inclusive urban design.